Daily Covet: Cowl off the dogs! 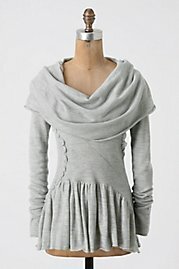 I have found the sweater for every occasion. 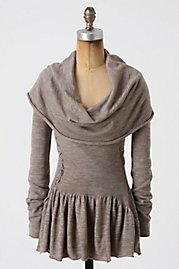 I love this slim fitting sweater with the peplum bottom, scrunchable arms and of course, the deep cowl neck. I’m thinking tweed mini, tights that pop, some lace up booties and voila, you are day to night ready!